If you've discovered that your pet rabbit has a penchant for digging holes, she's not at all unusual. Digging is a normal and instinctive action for many rabbits. Hole digging generally is a sign of a bunny simply being what she is -- and that's a bunny. Chewing, like digging, is also typical in the rabbit world. Wild European rabbits are ancestors of the domesticated furry critters people keep in their homes as pets. Digging burrows is a typical activity for European rabbits. They establish elaborate and often spacious burrow residences in dirt that has a smooth texture. When your pet rabbit digs holes, she's simply participating in something that's totally normal for her -- a throwback from her European rabbit forefathers. While your rabbit's habit of digging holes might drive you a little batty, it actually serves one positive purpose. Rabbits' nails perpetually grow. When rabbits in the wild dig holes and are highly physically active in their lifestyles, it helps keep the length of their nails in check. Since these energy-packed behaviors aren't always as common in domestic bunnies, they sometimes end up with excessively long nails that can be harmful to owners and rabbits alike. Regular clipping is a must for domestic rabbits' nails. If you allow your domestic rabbit to go into the yard for monitored play sessions, her hole digging habit doesn't have to end the fun. You can do things that can stop her from wreaking havoc on your yard with her digging. Offer your bunny a designated spot for digging. A sand pit, for example, can be highly effective. If your rabbit can enjoy digging in her special pit, she might not feel so compelled to do anything else in other parts of your yard -- phew. If you want to manage her digging needs indoors, grass mats can usually take care of these urges. The scientific moniker for the aforementioned European rabbit is Oryctolagus cuniculus. "Orycto" translates to "digger." "Lagus" translates to "hare." Finally, "cuniculus" translates to "underground path." If you put all of these pieces together, you get a creature that enjoys digging paths underground -- one that looks a lot like a hare. While rabbits and hares as fellow lagomorphs indeed look a lot alike in many ways, burrow digging is actually extremely uncommon in hares. Lake Howell Animal Clinic: Why Does My Rabbit...Chew and Dig? 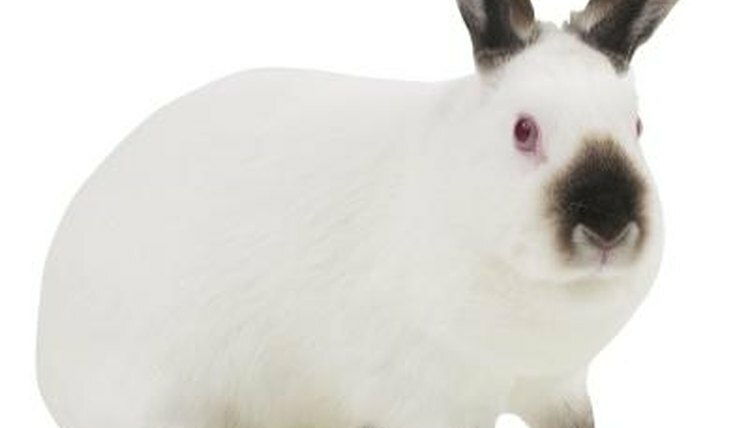 Lafeber Vet: Why Does My Rabbit...?